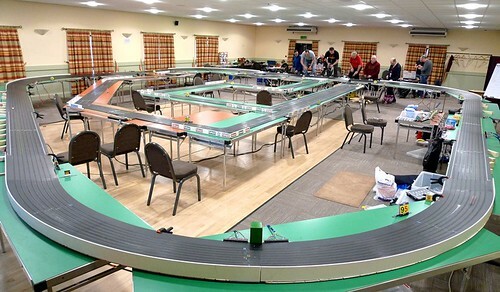 Hello fellow slot car racers. If you don't know me, allow me to take a moment to tell you who I am. I went to my first (full size) auto race in 1971 and got my first A/FX slot car set that next Christmas. Like a lot of you, I was hooked, and haven't put down the controller since. Well that's not entirely true. 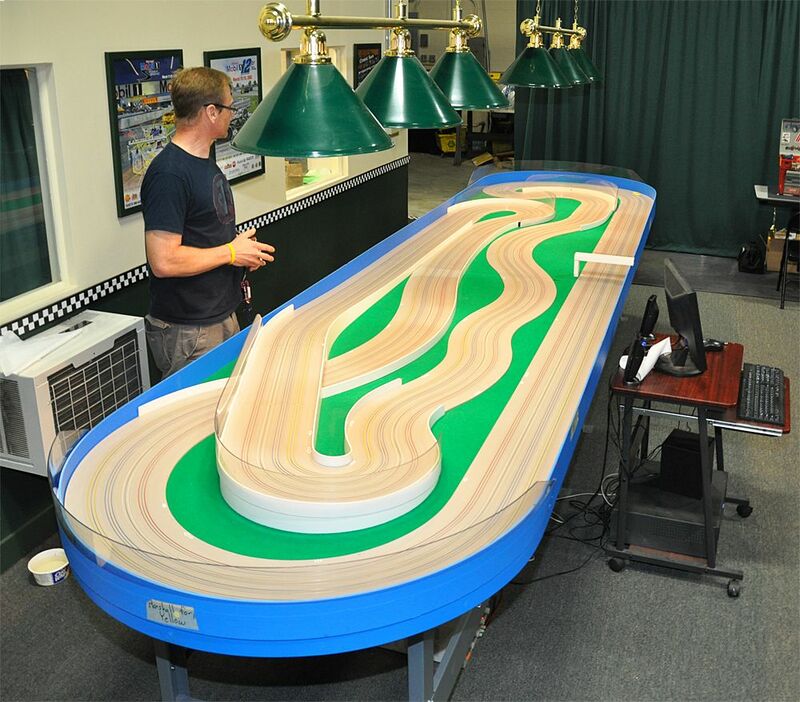 In 1995 I picked up a router to make my first hand built HO slot car track….Champion Raceway. With the help of my friend Jason Boye, we made a very nice and popular track. We took it to car shows and model car shows, and many other events. People kept saying, "This track is so awesome, can you build me one?" I was busy working on racing teams at the time, so I really didn't have the time to build anymore, but the demand became too great, and in 2002, I started building them full time. Since then I haven't gone without work. I work extremely hard at making the best product I can so that all of my customers are happy and excited about this industry we all love. Hopefully here (on SCI) you will be able to stay in touch with me so I can possibly build you a track (or other related products) someday soon, too. Last edited by Brad's Tracks; 05-09-2014, 02:59 PM. Good to see you on here Brad. Perhaps you could put pictures here as you finish new builds. Do you have samples of the borders yet? Welcome Brad. That Champion track looks familiar! So that's the Champion Raceway at Peter Lentros' - Len-Jet raceway in Ashland, Massachusetts? Yes! It is a very fine track indeed. Holy cow, id need binoculars in one hand, and a controller in the other, to drive a car 4 courts away. Awesome work Brad, glad your now here. Last edited by Whiteylightning; 05-26-2014, 05:21 PM. The fish eye lens makes it look farther than it is. It's not as hard to see cars as you'd think. Raced on the original and several of the copies. The original has (had??) 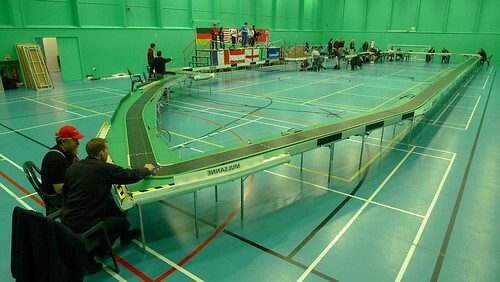 a hump in the middle of the main straight. More fun than the ones with the flat straight. I'll bet it is a lot more fun if the other guy is the one who forgot that the hump was there! Brad, could that be made for the home in HO and made with a banked curve at one end?